“Print is dying!” is a statement often heard in meeting rooms when a well-dressed executive is presenting a Public Relations (PR) strategy to prospective clients. But, is that reality? Well, there is a marked preference for information on the Web, thanks to smart phones and the convenience they bring along. Our parents, aunts and uncles are on Facebook! Evidently, India is a combination of analogue and digital preferences, and it seems to be working well so far. But, are we responsible individuals in the virtual world? As a PR professional I would think print media is credible even today. Newspapers and magazines have limited space and it is rather tough for a reporter to accommodate copious amount of verbiage in a 300-word article that should make sense to the reader, and is also factual. So, it needs to be credible, and this credibility can be gauged without much effort really. So, do opinions on social networking sites command the expected credibility? Most journalists who report in print or on TV are on social networking sites and enjoy enormous fan following. In their principal professions (print or TV) they have to report the news after having attended Press Meets, and they do. Somehow, opinions differ on social networking sites and this can be a good enough indicator of how ‘tonality’ plays spoilsport. In the above context, the signiﬁcance of Public Relations highlights itself. With social media, PR professionals can be directly in touch with consumers, which means we play in a gray area that turns a shade darker than before, because social media is a real-time reputation indicator and potentially, a perception correction tool too. This brings us to the question, how Reputation should be measured. PR Metrics have given rise to many views. The more appropriate approach seems to be that we consider PR bringing more intellectual value (not space, merely) to the table and that is because we deal with opinions real-time and influence their correctness or even the lack of it. This change in perception is brought through by domain knowledge and not only by a creative light bulb. An advertisement can catch attention whereas a well-written article can enhance a reader’s understanding of the subject. This is a combination of how knowledgeable and insightful the writer is, whether the individuals in question know their subject well, is their understanding (or the lack of it) is going to influence the reader in an undesired way, etcetera. It is also the responsibility of a PR professional to ensure that the journalist receives factually correct information and importantly, help the journalist comprehend it, so that it is passed on to the reader in the correct form. Recently, I was overseeing the Press launch of a signiﬁcant Global SUV Brand. My task was to ensure we make a strong ﬁrst impression, ensure positive tonality and high visibility across national media. This was one of the most-awaited automobile brands in the Indian market and the launch had to be impactful, and it was. Impact, as we know is ensured by achieving high visibility and mostly positive tonality. Launch of a global brand, iconic products, unconventional venue and media engagement ideas – it was all perfect. Well, there is learning in everything. Even in the success. It was interesting to note the tonality around the pricing of the products, on social networking sites. Media criticized the pricing and that triggered sharp reactions from their followers. Their apparent disappointment was around the high pricing (the real reason: high import duties, vehicle conﬁguration etc.) which, practically kept the products out of their reach. In reality, those who have the money to buy these products are quietly buying them without a word, because they can make that purchase. This proves that there is a buyer at every price point. It is the noble task of the PR professional to ensure the relevant buyers read about the product. The understanding of a brand or a product is acquired after having read about that brand and by experiencing the product, so the ones who opine about the former and the latter should necessarily know their subject well. What was largely missed in media’s ‘virtual commentary’ was the understanding of the high pricing, import duties in India and the vehicle conﬁguration. In my view, every critique must have a reason to criticize. Having said that, criticism can be appreciated when it is constructive in nature. In this case, consumer disappointment could be attributed to the fact that they could not own these iconic SUVs after knowing the price but then, there were reasons why these SUVs were so expensive. Social networking sites allow for more freedom of expression and are seemingly less restrictive. They become the perfect platform to achieve popularity (read: followers) and also help follow opinions real-time. There is nobody out there to edit your post and make it politically/factually correct like in a newspaper/magazine or on TV. In the virtual world, you are on your own. Views on social networking sites are claimed to be personal, but are they? 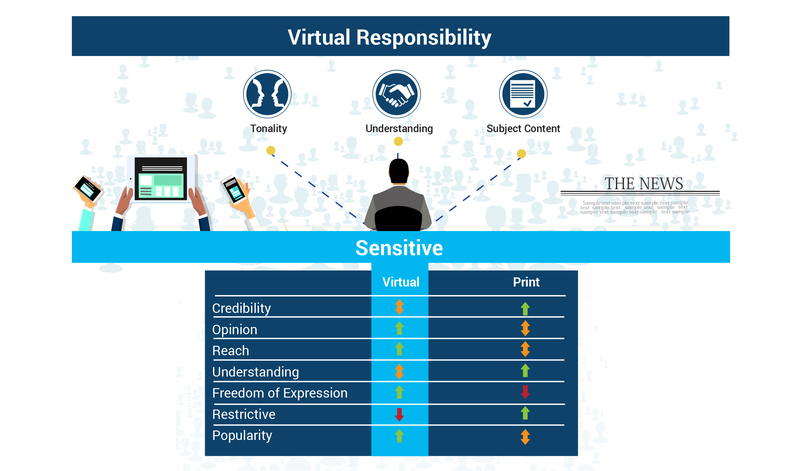 This kind of expression in the virtual social space gives an indication of the understanding that an individual has – whether that individual knows the subject well enough in order to comment responsibly and/or if we are absorbing the correct information. We are a part of a growing economy, which celebrates successes and at times, has to endure failures. This celebration and endurance should be viewed and commented upon responsibly as once it’s on the World Wide Web, it is out there forever and a certain perception is created! 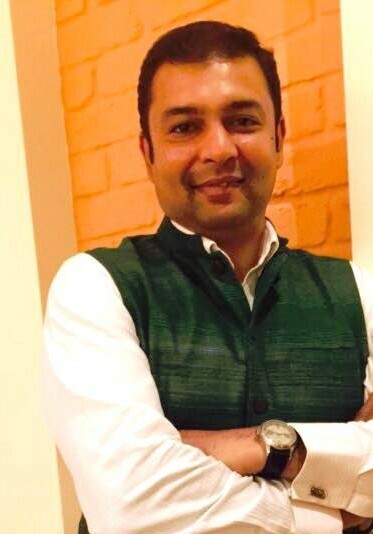 Sushant Balsekar is a Communications professional with close to 20 years of experience across Journalism, PR Consulting, Corporate and Product Communications, Marketing and Brand Communications and Corporate Social Responsibility. An eternal automobile buff, Sushant is a qualiﬁed Automobile Engineer, but with a creative calling. He is one of those who has transformed his inherent interest into his profession. His career in Communications spans across various roles in global automobile giants such as Ford Motor Company, Nissan Group and General Motors. He currently heads PR & Corporate Communications at Fiat Chrysler Automobiles India. He started his career as an Automobile Journalist and has had enjoyable times testing cars and writing about them for enthusiast magazines such as Autocar India, BBC Top Gear and Overdrive, before he decided to enter the more serious part of the automotive business with OEMs. He continues to be a serial road-tripper.